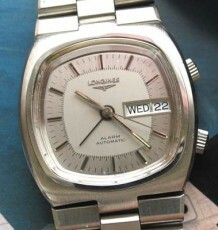 Octagonal shaped vintage Genex Rolex Oyster watch. 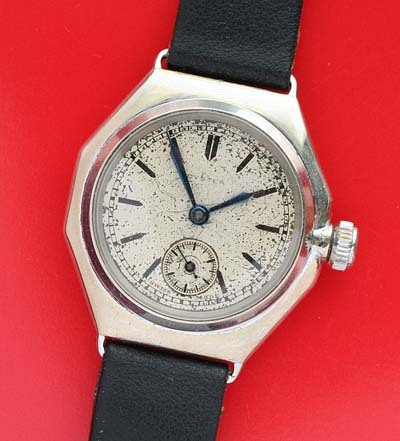 One of the earliest Rolex Oyster Watches made, a vintage collectible. This is a very early Rolex Oyster, dating to 1934. 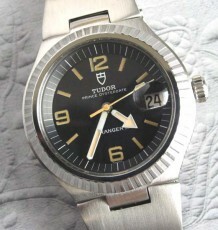 The case, reference 2136, is early octagonal shape in nickle plated brass. The case features a 3 piece designed with a bezel that threads to the caseback through a brass sleeve running through the octagonal section. The wire lugs on the case require folded straps to used instead of the typical arangement using spring bars. The movement is a 15 jewel Swiss movement signed Genex and states that it is simply made in Geneva. 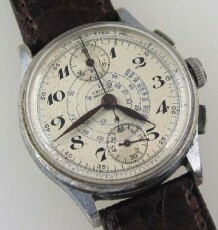 Many historians of the Rolex brand are familar with the use of the name Genex by Rolex during the early days before the company streamlined their marketing. The case measures 32 mm wide by 39 mm long. 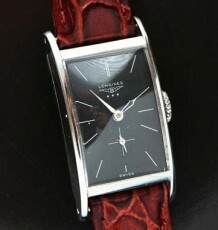 The watch will be supplied on the black leather strap that is pictured.